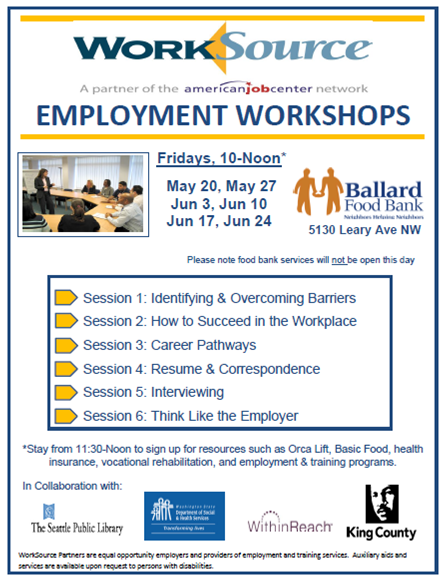 The Ballard Food Bank is partnering with WorkSource to bring free employment workshops to you! WorkSource will be at the Ballard Food Bank on Friday’s for the next six weeks to support you with career development, interviewing skills, building a resume, and more! Please note: The food bank will not be open for services these days.